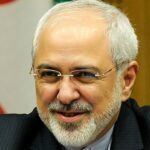 Mohammad Javad Zarif has been Minister of Foreign Affairs of the Islamic Republic of Iran since 2013. He has many years of experience in different posts at the Ministry of Foreign Affairs of the Islamic Republic of Iran. Mohammad Javad Zarif was the Deputy Minister for Legal and International Affairs for ten years. He was also the Ambassador Plenipotentiary and Permanent Representative of the Islamic Republic of Iran to the United Nations in New York for five years. He has held various and important international positions, such as Chairman of the Sixth (Legal) Committee of the 47th United Nations General Assembly, Chairman of the UNESCO Cultural Commission, Vice-President of the United Nations General Assembly, Chairman of the United Nations Disarmament Commission and Chairman of Political Committee of the 12th Non-Aligned Movement Summit in Durban.